The meeting was supposed to help buff up Obama’s relationship with the Jewish community, which is bubbling lately with resentment at the president’s aggressive peace-processing. By reaching out to the community’s customary spokesmen, he hoped to build rapport and perhaps recruit a few backers for his policies. Instead he unleashed a whirlwind of attacks against himself, his administration and the Jews who met with him. The critics accuse Obama of unfairly singling out Israel by demanding a unilateral settlement freeze, without requiring reciprocal Palestinian concessions, and disregarding past American promises to permit some construction. They say he is trying to curry favor with the Arab world, breaking a long-standing presidential tradition of siding automatically with Israel. Some say he is threatening the important legacy of George W. Bush. I didn’t make that one up. Martin Peretz, the editor-in-chief of The New Republic, wrote on his blog that he was “sick and tired” of Obama’s “hectoring” of Israel. He was particularly offended by the president’s condescending advice to Israel, “via some 15 American Jewish leaders,” to “engage in some serious self-reflection.” Heaven spare us. Even the politically correct New York Times Op-Ed page carried a jab at Obama — its sole commentary on the July 13 meeting — by Aluf Benn of the dovish Israeli daily Haaretz, no less. Benn accused Obama of mistakenly talking to American Jews rather than the Israelis he should be wooing. After all, why would an American president care what American Jews think? Sneering at American Jews appears, in fact, to be one of the unifying themes in the backlash. Numerous critics say Obama is using — or being used by — a pair of turncoat Jewish aides, Rahm Emanuel and David Axelrod, whose goals are “to suppress the American Jewish community” and to change Israel’s agenda from stopping Iran “to ‘peace in our time’ in Palestine,” as Israeli journalist Amnon Lord wrote on the Web site Bitter Lemons. Another frequent complaint is that the president or his buddies deliberately skewed the Jewish delegation by inviting Americans for Peace Now and J Street, “Israel-bashing groups” whose very “Raison d’être is to force Israel to make additional unilateral concessions,” or so former World Jewish Congress firebrand Isi Leibler wrote in The Jerusalem Post. Actually, given those numbers, Obama’s critics might want to take a second look at suppressing the American Jewish community. 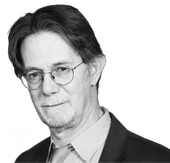 Indeed, more than a few commentators have flatly accused Jewish organizational leaders — or American Jews at large — of betraying Israel and toadying to Obama the way they toadied to Franklin D. Roosevelt during the Holocaust. That’s right, folks: Nazi collaborators in the Roosevelt Room. What better place for a president to court Jews? These are troubling charges. That is, they would be, if there were anything serious behind them. But there isn’t much there. Mostly they are just one-liners deployed to buy time for Israeli Prime Minister Benjamin Netanyahu while he figures out how to placate Obama without breaking up his government coalition. At best the charges fall apart upon scrutiny. The rest should be handled with rubber gloves. The most repellent of these is the sliming of Axelrod and Emanuel. It’s not a new tactic; it was used by former prime minister Yitzhak Shamir against Jewish officials under the first President Bush, Dennis Ross, Aaron Miller and Dan Kurtzer, to the point where Kurtzer, an Orthodox Jew, couldn’t go to synagogue without being harassed. The same sort of dreck was thrown at Jewish aides to the second President Bush, including Elliott Abrams and Paul Wolfowitz. It was vile then, and it’s vile now. The truth is that every president hires whom he wants, meets with whom he chooses and, if he’s responsible, seeks a balanced foreign policy. Israelis and their friends got spoiled by the last president’s reckless unilateralism and contempt for world opinion. Obama is trying to walk it back, and so he must. If there is a substantive argument in all this, it’s the claim that Israel is being pressured for concessions while the Arab side is not. Obama himself conceded the point at that meeting. He’s now pressing Arab states for gestures to help Israelis get the medicine down. But freezing settlements doesn’t depend on that. Jerusalem is already committed to “freeze all settlement activity (including natural growth of settlements).” It’s written in black and white in President Bush’s road map, which Israel signed in 2003 — and which Avigdor Lieberman reaffirmed this past April 1 in his maiden Knesset speech as foreign minister. Israel was able to put off the freeze because the Palestinian Authority wasn’t honoring its commitment to crack down on terrorists. Now the Palestinians are cracking down, and Netanyahu is making up excuses. As for Obama being the new Roosevelt, we should live so long. FDR, if memory serves, was the guy who defeated Hitler and saved the world, after the Japanese air force convinced congressional Republicans to let us join the war. If Obama has any tricks like that up his sleeve, bring ’em on. This story "On Obama and Israel, Rage Without Reason" was written by J.J. Goldberg.